The decision follows an Inquirer investigation into abuse and cover-ups at the Delaware County campus. A.W., who asked to be identified by his initials, was beaten up by counselors at Glen Mills Schools. In a Monday letter to the school’s board of managers, the state agency – which licenses and oversees the Delaware County campus – said conditions “constitute gross incompetence, negligence, misconduct in operating a facility, including mistreatment and abuse of clients, likely to constitute immediate and serious danger to the life or health of the children in care." “As the investigation into allegations raised in recent reporting continues, we must do what is necessary to ensure that no more children are at risk of physical and emotional harm," said Department of Human Services Secretary Teresa Miller. Miller said the emergency removal order is “one step” of an ongoing process at Glen Mills, which holds 14 licenses with the state. “DHS is committed to seeing this investigation through to ensure that any individual responsible for endangering the welfare of children and coercing silence can be held responsible,” she said. The Inquirer reported in February that serious violence was both an everyday occurrence and an open secret at the Glen Mills Schools, which draws students from across the country. Staff routinely punched, choked, and kicked the boys in their care, even breaking their bones, then kept them quiet with threats. Executive director Randy Ireson and other top leaders failed to properly vet or train the school’s counselors, then insulated themselves from abuse complaints. Feb. 11: Glen Mills leaders are given a detailed memo of the newspaper’s findings after declining repeated requests for interviews. 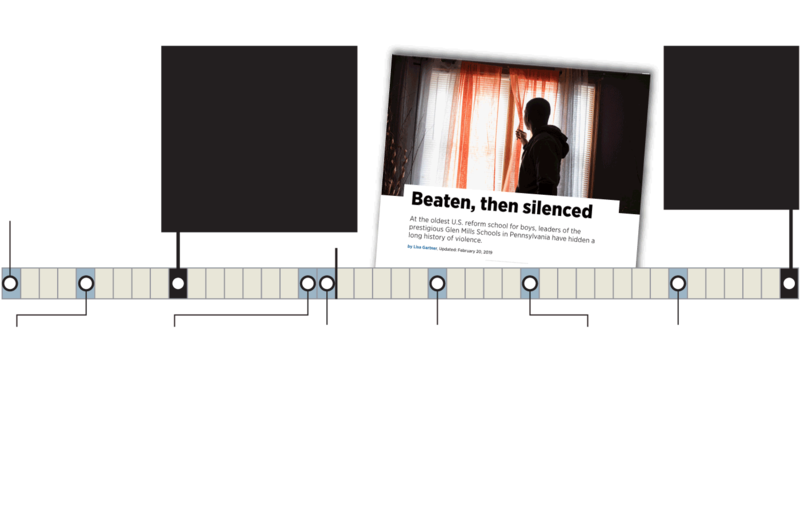 Feb. 20: Inquirer’s story about boys being beaten, then silenced, publishes online. Hours later, Philadelphia says it will remove its 51 boys currently at the school. State orders emergency removal of the remaining 54 boys at the school. Other states and counties continue to remove dozens of boys from the school. The school’s director and board president both step aside. March 6: Gov. Tom Wolf calls for a review of the schools. Philadelphia City Council members renew demands for a state inquiry. March 11: State auditor general says his office will investigate the school. State inspector general launches an investigation into the state’s oversight of the school. 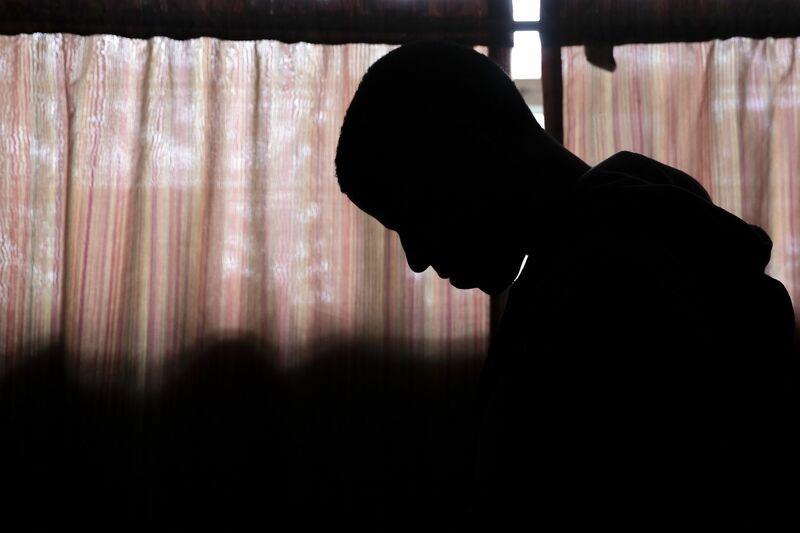 Feb. 20: Inquirer’s story about boys being beaten, then silenced, publishes online. Hours later, Philadelphia says it will remove its 51 boys currently at the school. Feb. 27: Other states and counties continue to remove dozens of boys from the school. Feb. 28: The school’s director and board president both step aside. March 19: State inspector general launches an investigation into the state’s oversight of the school. Through a spokesperson, Glen Mills leaders said they were “just made aware” of the removal order Monday. “We are assessing the situation and its impacts, and will continue to work with all state and local officials,” the spokesperson said. Without pointing to any specific part of the Inquirer investigation, Glen Mills leadership has said it “disputes virtually all the allegations and conclusions." But state officials, in their investigation, corroborated The Inquirer’s reporting. They found that Glen Mills staff: injured a boy’s eye during an assault, then coerced him to say he hurt it playing basketball; punched a boy for not listening; took turns choking a boy, causing neck injuries and subsequent migraines; and other acts of violence. The state concluded that counselors routinely hurt boys, encourage them to fight each other, and withhold medical treatment for their injuries. Some boys were even forced to sit in uncomfortable positions for hours as a form of punishment, while others were given unwanted haircuts. “Information gathered during interviews of former and current youth placed at Glen Mills verifies that a culture of intimidation and coercion is pervasive at Glen Mills and that youth were told to lie about the care they received and the physical mistreatment they endured while placed at Glen Mills,” the removal order reads. State officials also found that the school’s executive director, Ireson, “failed to ensure the safety and protection of youth placed at the facility and ensure that staff adhered to policies and procedures” in compliance with state law. After The Inquirer investigation was published, Ireson took a leave of absence, citing health reasons; he still receives compensation and lives in school-affiliated housing. In fiscal 2017, Ireson received $336,000 in total compensation from the school, which had annual revenues of around $40 million, according to a federal tax filing by the private nonprofit. The Glen Mills spokesperson said she could not answer a reporter’s question about how the school was staying financially afloat without students, nor could she say whether Glen Mills would continue to employ Ireson. In response to The Inquirer report, judges from Los Angeles and Houston to Pittsburgh and Philadelphia began pulling their boys from Glen Mills, which at its peak housed more than 1,000 students. “We’re pleased that the state’s efforts align with actions Philadelphia has already taken to remove youth from the Glen Mills facility," said Philadelphia Human Services Commissioner Cynthia Figueroa. There were 64 boys remaining at the school Monday, state officials said: 21 from Pennsylvania and 43 from eight other states. As of last week, the out-of-state boys hailed from California, Maryland, Florida, Indiana, Michigan, Ohio, Texas, and Washington, D.C.
DHS’s Office of Children and Youth Services notified officials in the students’ home counties and states before the order was issued Monday. They’ll work together to relocate boys, some of whom will be able to go home. Staff from DHS will be on-site at Glen Mills “to continue to monitor conditions and ensure student safety” until all children are removed. No additional boys can be sent to the school, according to the order. The Pennsylvania auditor general and the state inspector general, as well as the Delaware County district attorney, have all launched separate investigations into Glen Mills. “It is my hope that today’s bold action will put the entire sector on notice and let them know that we expect more,” Gym said. Glen Mills has 10 days to request an appeal hearing. A spokesperson for the school said she did not know whether Glen Mills would pursue an appeal of the emergency removal order. If Glen Mills does request a hearing, it will have to specifically say why it disagrees with the state’s findings. The last time DHS issued an emergency removal order to a youth program was 2016, to Wordsworth Academy, a residential treatment center in Philadelphia where a 17-year-old boy died from an assault by staff. The school is now closed. Even with the removal order issued, the state continues to investigate Glen Mills and could revoke its licenses. Miller, the DHS secretary, encouraged anyone with knowledge of abuse or other misconduct at Glen Mills to contact the state. “It is important that we understand the full scope of incidents and mistreatment that occurred at this school,” she said.